Police in Boston responded to a pedestrian vs. car accident on Friday afternoon. The accident took place just prior to 4:00 pm. Boston police officer Dennis Moore was on duty at the time and received the dispatch call. Officer Moore quickly rushed to the scene. Upon his arrival, he discovered a pedestrian in the roadway. The pedestrian was suffering from injuries sustained after being struck by a vehicle. 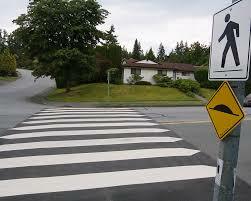 It is not clear if the pedestrian was in a crosswalk when the collision occurred. Officer Moore called for emergency medical assistance. The pedestrian was treated for injuries on scene. No further details are available regarding the pedestrian’s injuries at this time. The driver and pedestrian were not immediately identified. Officer Moore’s investigation of the crash remains ongoing at this time. Neither the driver of the vehicle nor the pedestrian have been identified by police. If we receive any further information regarding this accident we will update you as soon as possible. Pedestrian accidents in which a driver is at fault can lead to a legal action against the driver for negligence. In such actions, the pedestrian has the right to recover for injuries and losses that they sustained in the accident. If you have experienced a pedestrian accident in our city, you have legal rights and need to speak with a personal injury attorney immediately. At he Law Offices of Jeffrey S. Glassman, we focus our practice on personal injury, including pedestrian accidents. You should not try to handle a matter like this on your own, there is too much at stake. To discuss your case with us for free, please call us at 617-367-2900.